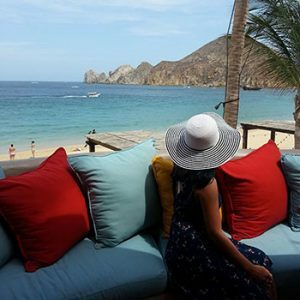 UPDATED ON MARCH 5th, 2018, this post was originally published on April 28th, 2017. 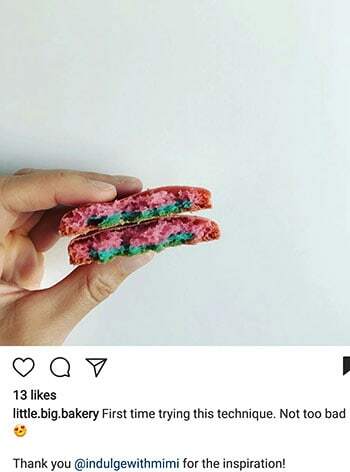 I developed this special technique for making macarons with a different colored inside a few years ago for a special gender reveal party. On the outside, it looks a like a plain blackout macaron but once you crack it open, you get a full and fluffy pink inside! For the longest time this technique has remained my little secret since I was saving it to recreate for friends and family, hopefully, giving them a very one-of-a-kind gift. After many reader requests, I’m sharing it with you today. It’s very important that the macaron shells are NOT hollow. Otherwise, it won’t work. 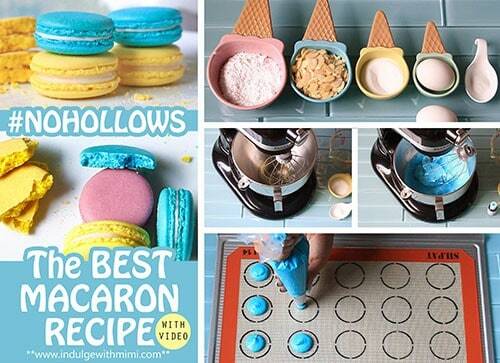 Make sure you read my How to Prevent Hollow Macarons Guide if you’re having problems with that issue. A steady hand is crucial, pipe quickly and decisively. Wait until the first layer develops a thin skin before you attempt piping another layer. Tapping the tray after piping the black colour is very important. This will allow the tops to smooth out. Only black gel colour was used for these macarons. It is possible to achieve a very black batter with gel colour only. If you’re still having trouble achieving a dark colored batter, try adding some black food color powder color in conjunction with the gel color. 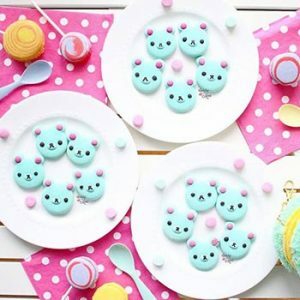 If you’d like to recreate a simpler version of this, you can make regular macarons with my Best Macaron Recipe. 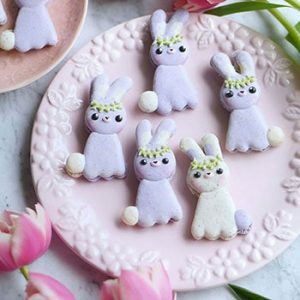 Once baked, take two equal sized shells, pipe a ring of white buttercream along the outer edge of one shell, fill in the center with a dallop of pink or blue buttercream, lastly, assemble the two shells together. Once your guests bite into it, they will see the colour of the gender. 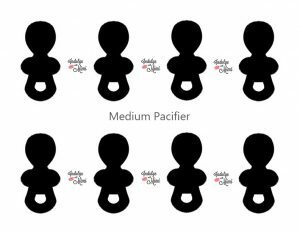 I’ve also created a special pacifier template for you to make pacifier macarons for your next baby shower or gender reveal party. I hope you enjoy it. 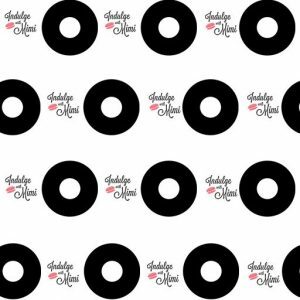 Remember to sign up for my Newsletter to get the password to the Subscriber’s Only Area of the site where there will be more deluxe templates. 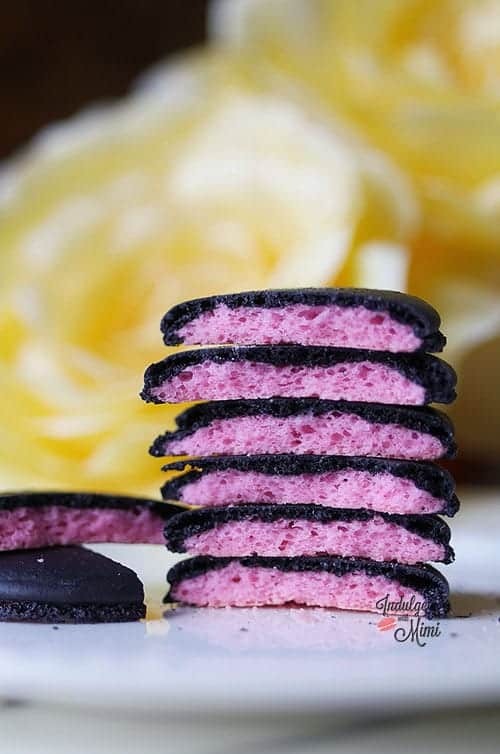 Follow my Best Macaron Recipe on how to make the black and pink macaron shells. 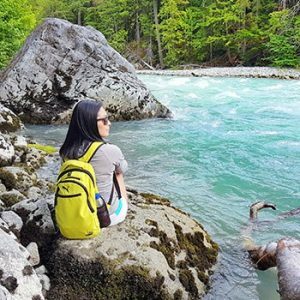 Thanks to these lovely readers for sending their results with this tutorial! 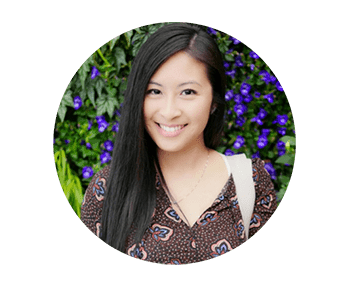 You’re blog is amazing and has helped me tremendously! However, I’m still having a few hiccups. Even so perfect feet, smooth and shiny top, I still have hollow macarons. What am I doing wrong? Could it be oven temp? I don’t think I’m overbearing the egg whites? Or maybe I am idk. How do I develop a deep dark shell? I am failing at creating dark colored shells. How much is too much gel food coloring? For your macaron recipe, I usually double it and add 4 drops but the color is still very light. I tried to make navy blue, with 4 drops of navy blue americolor, and they were baby blue. 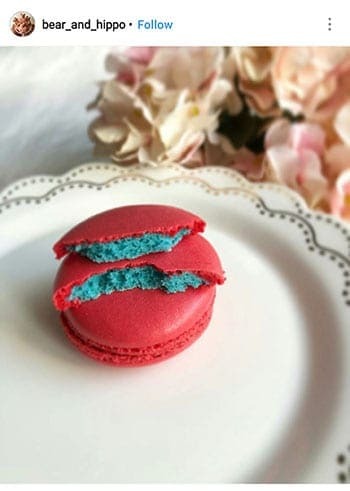 How did you get the dark shell for your gender reveal macarons? Thanks so much for the help as always! It sounds like they look fine on the outside so that means your techniques should not be a problem at this point. Try using more heat and/or baking longer. I find too many bakers pulling out their macarons much sooner than needed to avoid browning. Play with the temp a bit. Have you read my oven guide yet? For gender reveal macs, I used a black color from Americolor. You may need to add some powder color into your dry mix to give you the added dark you want. I did read your oven guide and this past round of macs I did increased the temp and it did help! 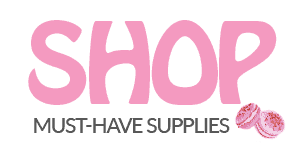 Did you use powder or gel for your gender reveal macs? I haven’t used powder yet. 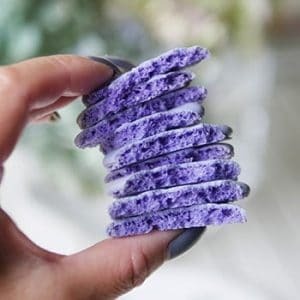 So if I wanted navy blue I should use a few drops of americolor navy blue gel in the meringue and a tad of navy blue powder in dry ingredients? I’m glad the heat helped you! I usually add a little bit of other colors to help boost the colors to make them darker. For example, purple really helps darken up your reds and blues. Yes, I would use gel colours in conjunction with powder colors if needed. Gel in meringue, powder in dry mix.